Czar was born in Nashville, but got his musical roots while being raised in Memphis. He worked for a few studios in Memphis as well as owning his own recording studio called the Kremlin. In 2000 Czar founded Throneholder Productions, a production company for hip-hop, R&B, pop, and dance music. 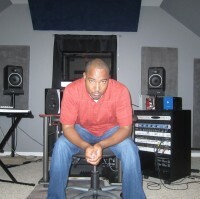 After years of producing independent artist, Czar later returned to Nashville to pursue a BA in audio production from the Art Institute of Tennessee Nashville, which he received with honors. During school he began to focus on engineering and mixing, which is where he finds most of his work since moving to Nashville. When he's not busy in a studio engineering or in the Kremlin mixing, Czar spends his spare time researching gear, blogging about audio, writing gear reviews, and posting helpful tutorial videos online to help others learn.